Al-Najaf kickstarted their campaign against newcomers Al-Bahri with a 1-0 win. The match was even between the two sides and the newly-promoted team gave a decent showing as the first half ended 0-0. The second half started with a bit more intensity and on the hour-mark, new signing Amir Sabah scored with a half-volley to give Al-Najaf the lead. The match would end with that result as Al-Najaf grabbed their first three points of the season. Al-Minaa also earned three points with a 3-1 home win over newly-promoted team Al-Hussein. Al-Minaaa dominated much of the match and the club’s top goalscorer last season, Mohammed Jabbar Shokan, opened the scoring in the 11th minute. Al-Minaa continued to apply pressure and Al-Hussein defender Mohammed Kareem almost scored an own goal in the 15th minute. Referee Sabah Abed pointed to the spot three minutes later after Ali Husni was fouled. Mohammed Jabbar Shokan stepped up but his spot-kick was saved by ‘keeper Wissam Mohammed. The second half kicked off and Al-Safana (“The Sailors”) continued to attack to increase the scoreline and their hard work paid off as Hussein Abdul-Wahid doubled the lead before Ali Husni made it 3-0. Al-Minaa took their foot off the pedal towards the end and Al-Hussein managed to score their first ever Iraqi Premier League goal through Ali Ghalim in the 75th minute. Al-Hussein kept pressuring but Al-Minaa were able to hold on and get their first win of the campaign. 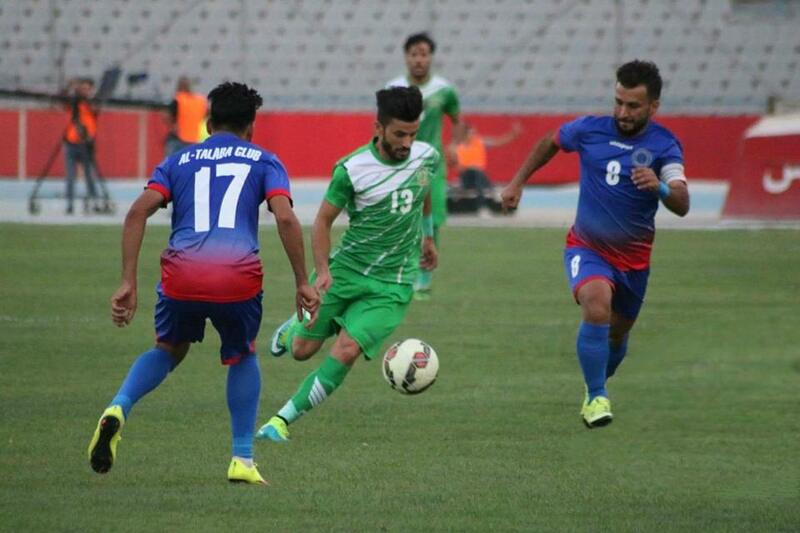 Al-Zawraa started their title defence with a comfortable 2-0 win over Al-Kahraba at Al-Naft Stadium. The match started with Al-Zawraa on the front foot, with Al-Kahraba keeper Ammar Ali having to produce a couple of decent saves in the first 15 minutes. Veteran Alaa Abdul-Zahra put the ball in the back of the net in the 20th minute but the referee ruled it for offside. Despite the number of chances, Al-Zawraa failed to score and both teams went into half time with no goals scored. Al-Zawraa started the second half as they finished the first with plenty of opportunities coming their way and they finally opened the scoring through young star Hussein Ali in the 62nd minute. And it took the 2015/16 Young Player of the Season just nine minutes to double his tally. The match also saw the debut of Honduran player Luis Ramos as a second-half substitute as Al-Zawraa look to win back-to-back titles for the first time since 2001. The standout match of the first round of the Iraqi Premier League saw a 1-1 stalemate in the first Baghdad derby of the season. The highly anticipated opener was played in front of a large crowd in the iconic Al-Shaab Stadium on Thursday and had an explosive start to the match with both teams having chances but failing to capitalise. That was until the 36th minute when a mix up in the Students’ backline allowed Amjad Waleed to finish. Al-Talaba dominated the rest of the first-half looking for the equaliser which they got in stoppage time when skipper Samer Saeed headed past the beaten Noor Sabri. The second-half started like the first with chances from both sides; Al-Talaba introduced Ivorian player Kone who went through on goal but was denied by the legendary Noor Sabri. The scoreline remained the same despite both teams’ best efforts and the two giants of Iraqi football had to share the spoils in match day one. Two former giants of the Iraqi Premier League, Al-Karkh and Erbil have both faced financial troubles in recent years that casued them to fall down the ranks. Nonetheless, the two sides managed to produce a four-goal thriller in the opening weekend. Both teams were cautious from the get go but Farhan Shakor had the first chance of the game on 28 minutes which was saved by Al-Karkh goalkeeper Wissam Adel; this resulted in a counter-attack that eventually won Al-Karkh a penalty which Ali Saad converted giving “The Yellow Submarines” the lead going into the break. The second half was dominated by the visitors. Farhan Shakor saw his shot hit the woodwork in the 71st minute before wasting another opportunity three minutes later. The Erbil number nine finally got his goal in the 77th minute, scoring a volley following a botched clearance by the Al-Karkh defence. Erbil continued to push but they were caught on the counter attack again in the 80th minute when Ali Rasheed played Ali Saad through on goal and he fired in nicely to get his second goal of the match. The Northern side committed men forward hoping to salvage a point and a powerful stoppage time free-kick from Syrian player and former Iraqi Premier League winner Tamer Haj Mohammed got them just that. This match was evenly contested between the two sides with few chances for both teams but a last minute header from Marwan Abbas saw Amanat Baghdad pick up a vital three points against relegation candidates Al-Samawa. Following the defeat, Al-Samawa’s Egyptian coach Mohammed Aloush resigned citing personal reasons. Assistant coach Khalid Awda, who played for Al-Samawa during his playing career, will take charge for the time being. Al-Hedood got off to a flying start with a 1-0 win over Karbalaa. The match started off with a slow tempo and many misplaced passes but Al-Hedood had a glorious chance in the 20th minute after a mistake from Karbalaa’s ‘keeper left Ali Obeid with an empty net to aim at but his effort was cleared off the line. The first half would continue in similar fashion with poor finishing from both sides. The second half kicked off with Al-Hedood the better of the two sides; they came close to scoring early on but Karrar Salah’s shot went inches over the bar. The tempo increased as the second-half and substitute Karrar Jabbar scored with his first touch of the ball. Al-Hedood would hold on to the result to grab their first victory of the season. Naft Al-Janoob grabbed a point in the very last minute of the game in their opening match versus fellow Oil club Naft Maysan. The first half was dominated by long balls and there were few chances for either side which made them go into the break goalless. The second half was much more exciting. In the 79th minute, Naft Maysan were finally able to break the deadlock after a nice finish from Ahmed Saeed. Naft Al-Janoob committed men forward and were nearly punished as a Naft Maysan counter attack rounded off by Hassan Mahmoud ended up with the ball hitting the post. Naft Al-Janoob continued to push forward and minutes before the full-time whistle, veteran Basem Ali scored the equaliser to grab a point for the Basra-based side. This was another four-goal thriller as coach Abdul-Ghani Shahad made his return to Naft Al-Wasat who faced Al-Naft in the first round of the Iraqi Premier League. 2014/15 champions Naft Al-Wasat started strongly as Ziyad Ahmed crossed the ball to Alaa Abbas who scored the opener after five minutes. Al-Naft quickly responded as a number of passes in the midfield saw Mustafa Jawda in front of goal and he made no mistake to bring the game back level. The tempo of the match slowed down after the exciting start, mainly due to the weather conditions which saw a number of water breaks. Both teams went into the second half determined for the three points which made for an exciting 45 minutes. On the hour mark, Mazen Fayadh found Mustafa Jawda again to put last season’s fifth-placed team Al-Naft ahead. Abdul-Ghani made a couple of substitutions following the goal. He introduced Mohammed Jafal and Mustafa Kareem respectively who combined to score the equaliser, as Jafal was fouled in the box and Kareem converted the resulting penalty in the 73rd minute. The score remained 2-2 despite a fantastic goalscoring opportunity for Mustafa Jawda who was denied by a brilliant Mohammed Hameed save. 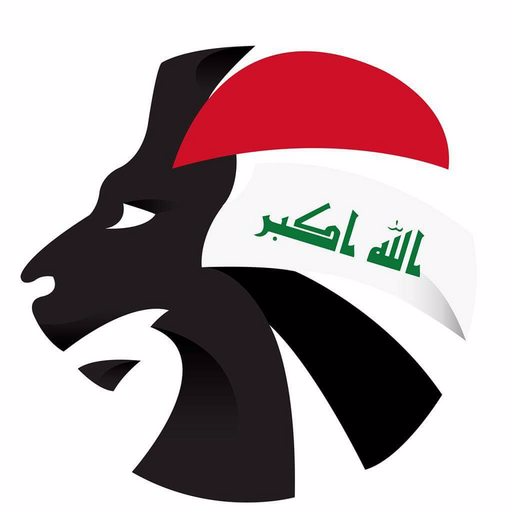 Click here to see the league table, all the results and the top ten goalscorers from the 2016/17 Iraqi Premier League.